Despite the recent flare-ups in gun violence across the island, the police continue to make small steps in tackling the crime monster raging in the St. James. This, as between Tuesday and Wednesday this week, the police recovered one Smith and Wesson 9mm Pistol, as well as the seizure of over 93 assorted rounds of ammunition, and magazines in separate incidents. In the incident involving the 9mm pistol, the police relayed that they were on patrol in the Rose Heights community, when they came upon four men whose actions aroused their suspicion. They were accosted and subsequently searched, during which the firearm, in addition to five 9mm cartridges, were seized. Despite the recent flare-ups in gun violence across the island, the police continue to make small steps in tackling the crime monster raging in the St. James. 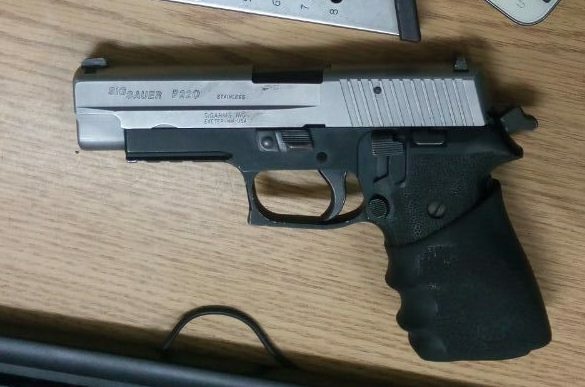 This, as between Tuesday and Wednesday this week, the police recovered one Smith and Wesson 9mm Pistol, as well as the seizure of over 93 assorted rounds of ammunition, and magazines in separate incidents.